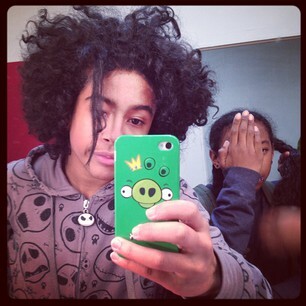 Too Cutee ♥♥♥. . Wallpaper and background images in the Princeton (Mindless Behavior) club. wait just a burger flipin minute( spongebob moment) was he trying to flat iron a piece of his hair?? just curious!! LOL, he was trying to flat iron his hair! Sweety not to be rude(will luv u always)but ummmmmm flat ironing is not your greatest look...and ray ray your hand is only covering half yo face. his Hair <3 ____ <3 Hiss Toooooo yummy ! !